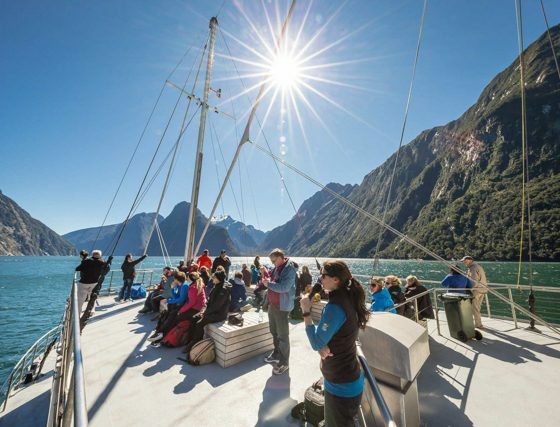 Explore the magnificent Milford Sound fiord with Real Journeys either as a day cruise (scenic or nature) or overnight cruise (which includes accommodation, activities, dinner and breakfast. 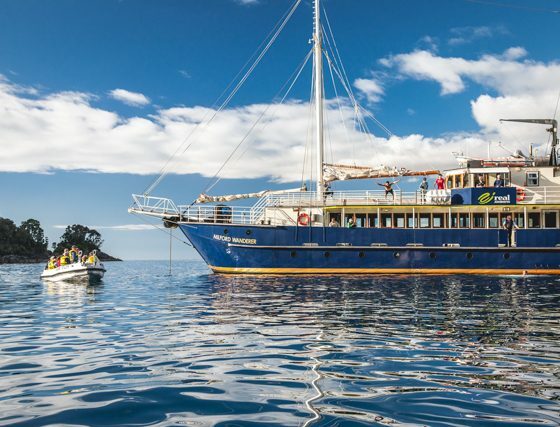 We also offer coach connections from Queenstown and Te Anau which connect to our Milford Sound cruises. Real Journeys Scenic Cruise vessels have purpose-built observation lounges and large decks, so you can be sure you’ll get some great viewing opportunities. 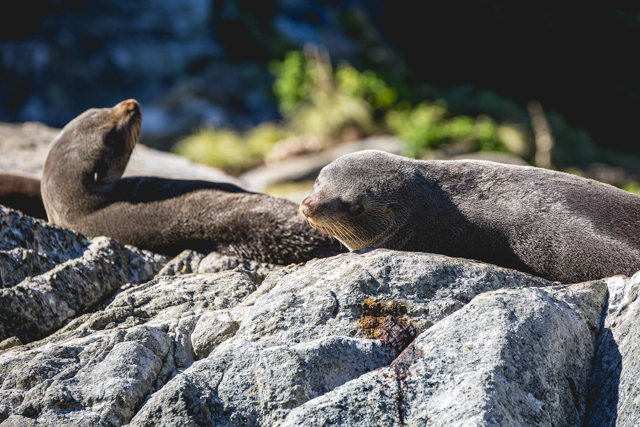 You’ll see the geological drama of sheer cliffs, massive waterfalls, glaciers, rainforest and Keep a look out for wildlife like seals basking on the rocks or dolphins swimming alongside. 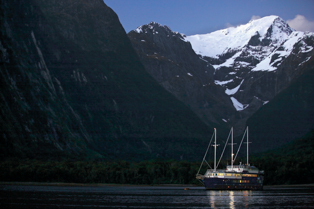 During your cruise, our friendly crew provide informative commentaries in several languages and point out the iconic sights such as Mitre Peak and the Pembroke Glacier. 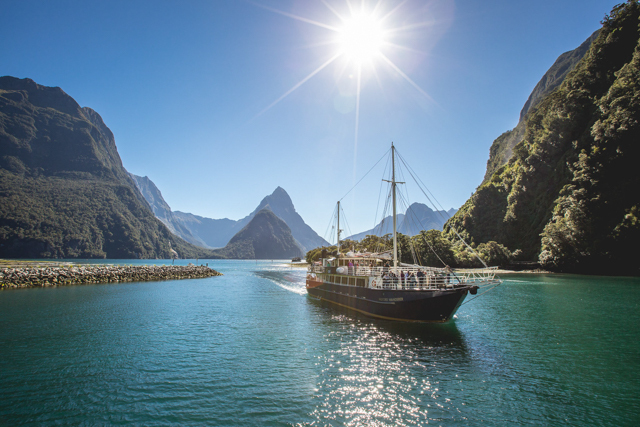 As Milford Sound drifts by outside your window, treat yourself to one of our delicious lunch options – from an Indian thali to a buffet, freshly prepared on board by our chefs. 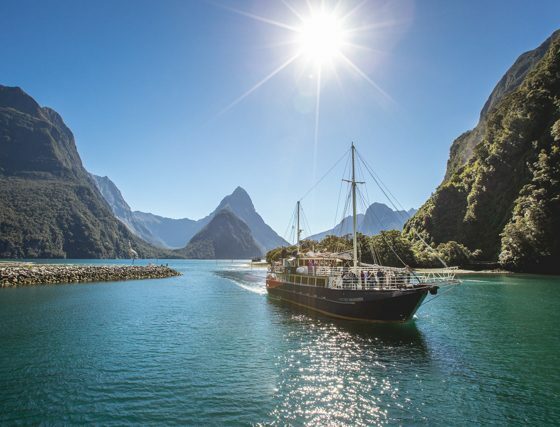 Milford Sound is a must-do location and Real Journeys offer a variety of cruises with luxury coach and flight connections to get you there. 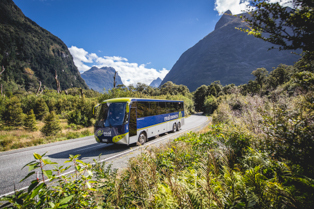 You can self-drive the famous alpine Milford Road or use our coach/flight options which connect with our cruises. 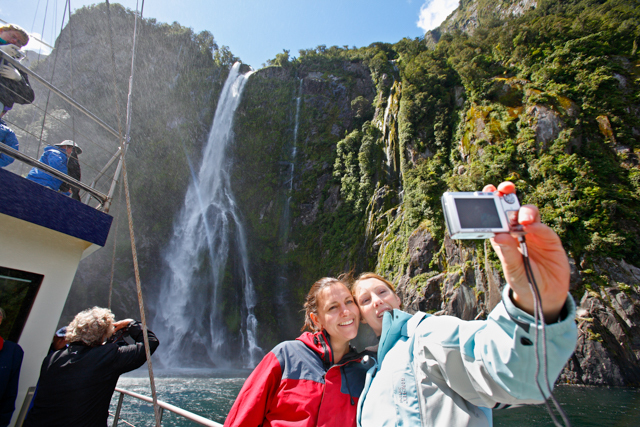 So sit back and let us make your Milford Sound experience an unforgettable one! 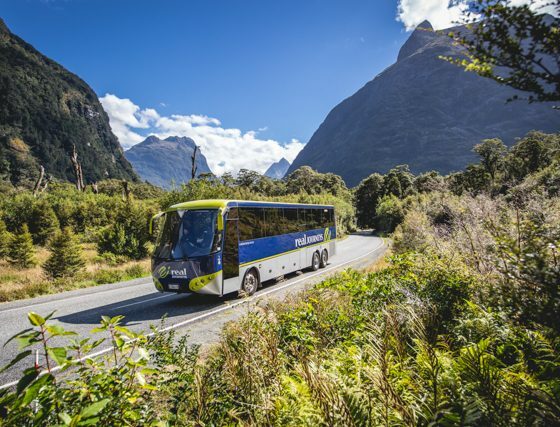 Coach Tours to Milford Sound. 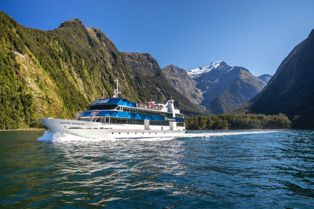 Combine a cruise (day or overnight) on Milford Sound and travel through spectacular alpine roads in our luxury coaches. 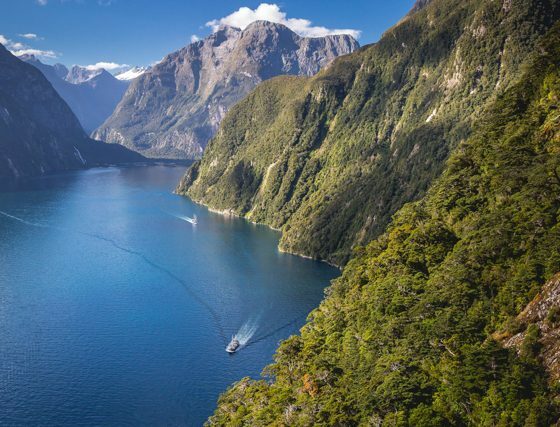 Departs Queenstown and Te Anau. 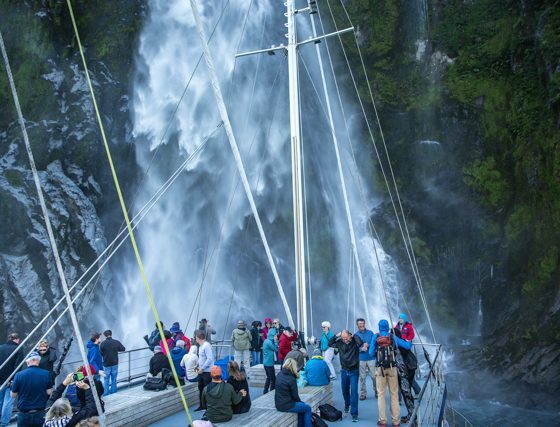 Enjoy an in-depth exploration of Milford Sound’s natural wonders on a leisurely cruise of the fiord. 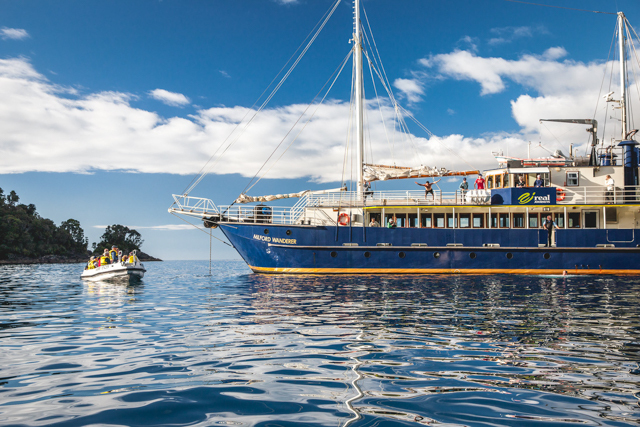 Our specialist on-board nature guides provide an informative commentary (English only). 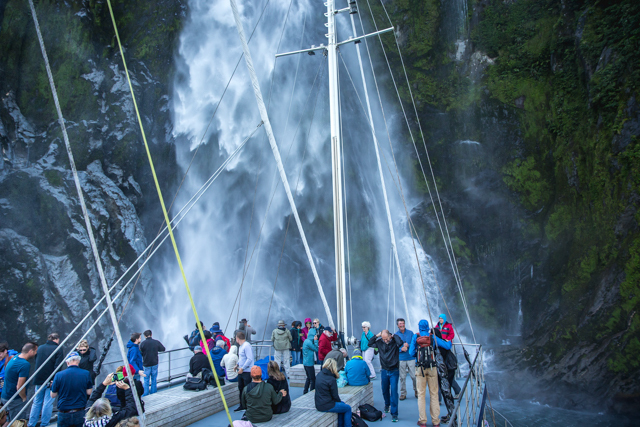 We get up close and personal with Milford Sound wildlife on our leisurely Nature Cruise. Experience the spray of a waterfall as you cruise close to sheer rock faces. Informative, participative and more relaxed, a Nature Cruise is the perfect way to experience Milford Sound to the fullest. 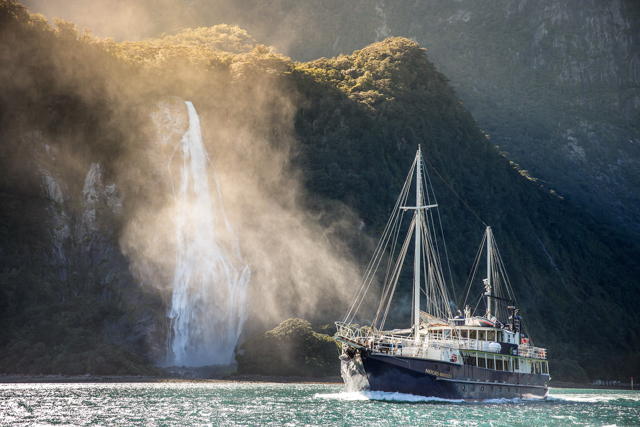 A nature cruise which gives you plenty of time to enjoy the scenery and take in the highlights of wildlife sightings such as seals and dolphins ensuring you get to see the best that Milford Sound has to offer in a natural environment. 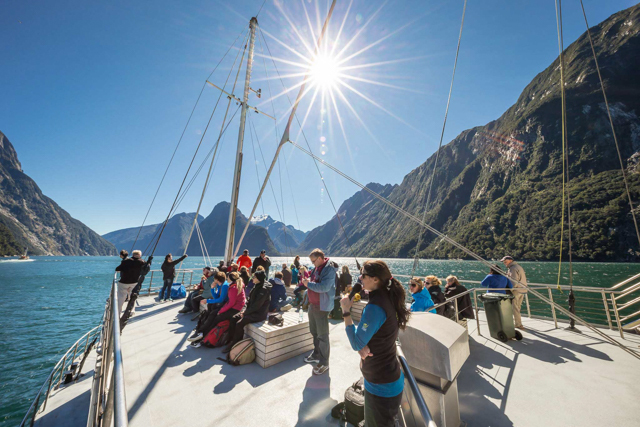 See magnificent Milford Sound from our modern cruise boats which have comfortable lounges and great viewing opportunities from the large decks. so you can be sure you’ll get some great viewing opportunities. 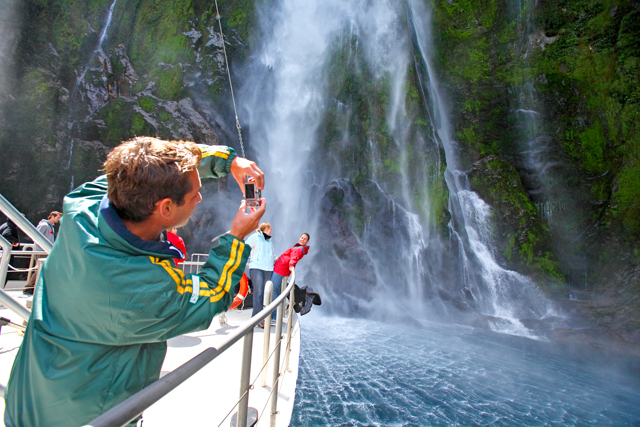 You’ll see the geological drama of sheer cliffs, massive waterfalls, glaciers and rainforest. A variety of delicious lunch options are available to purchase. 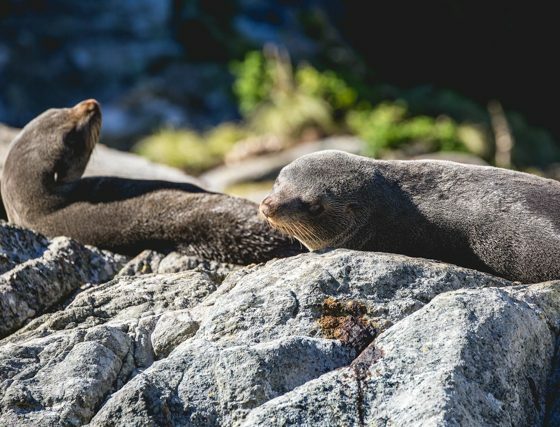 Seals are often seen basking on the rocks. Commentary in several languages. Cruise duration: One night – Returns 9:15 am (Day 2). As evening falls, enjoy a delicious carvery and relax in the company of fellow travellers or indulge in some star-gazing before retiring to your private cabin. 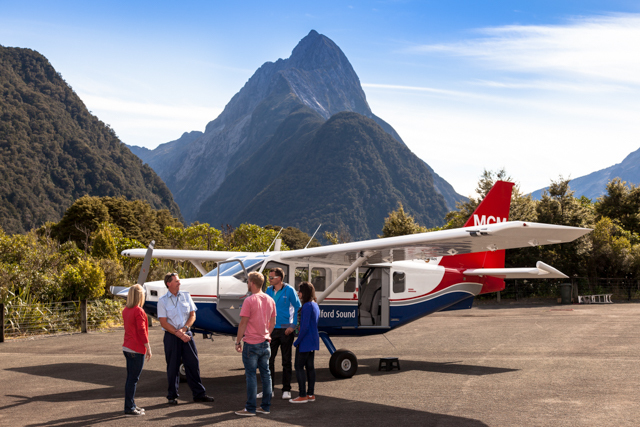 A laid-back overnight experience in spectacular Milford Sound with twin-share cabins (and shared bathrooms facilities). 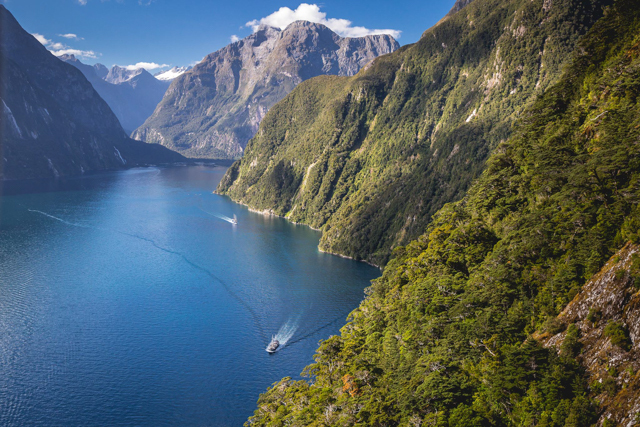 Includes accommodation, dinner, breakfast and a short walk on a section of the world famous Milford Track for an exclusive guided walk accompanied by your specialist nature guide. 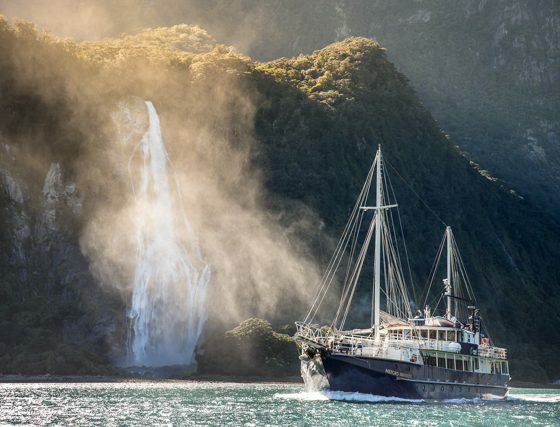 After dinner relax in the company of like-minded travellers or you may want to check out the stars in the incredible inky blackness of the remote Fiordland night sky. 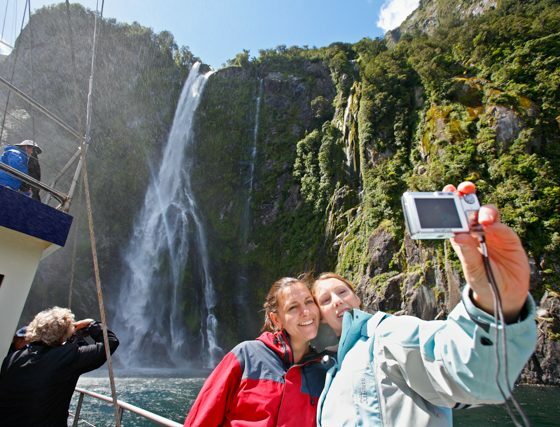 Cruise duration: Time varies on tour chosen..
Tours to Milford Sound. 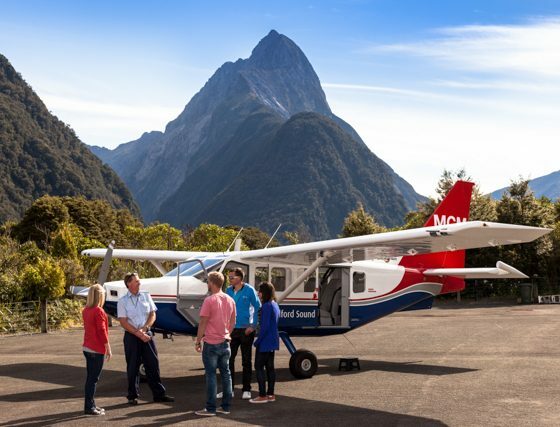 Combine a cruise (day or overnight) on Milford Sound with a scenic flight over the Southern Alps. 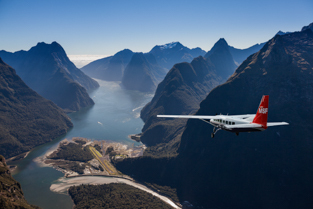 A great combination of cruise and flight – and see the alpine scenery from a different perspective. Departs Queenstown. 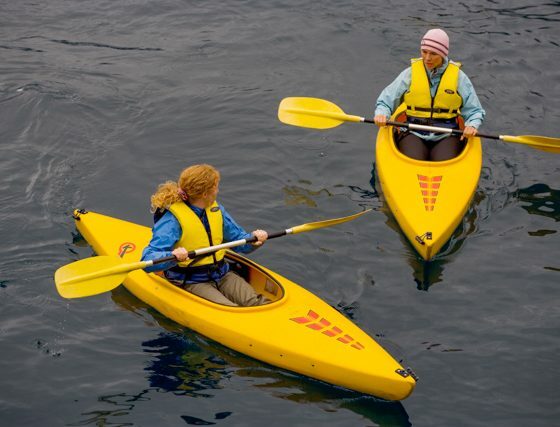 Our aircraft are specifically designed for mountain flying and pilots are specially trained. 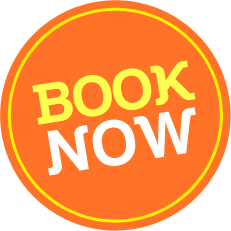 You can choose to fly both ways or get the best of both worlds by flying back after travelling the spectacular overland route on our luxury coach. 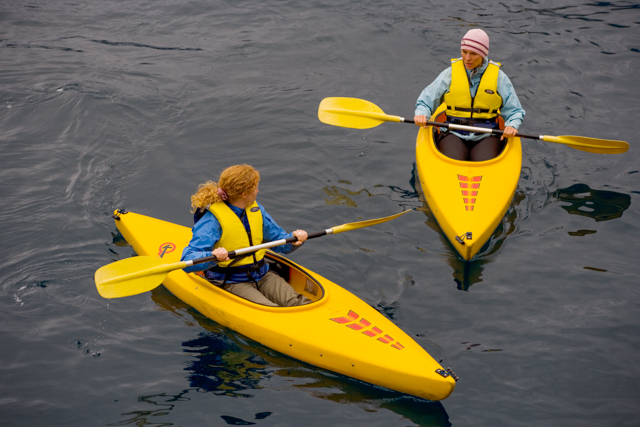 from the comfort of our modern, spacious vessels.